It's Christmas time and that means you're going to have to find gifts for all your family and friends. So instead of breaking the bank on gifts this year, spend some time making DIY gifts. These 10 thoughtful and creative gifts will be perfect for your loved ones. 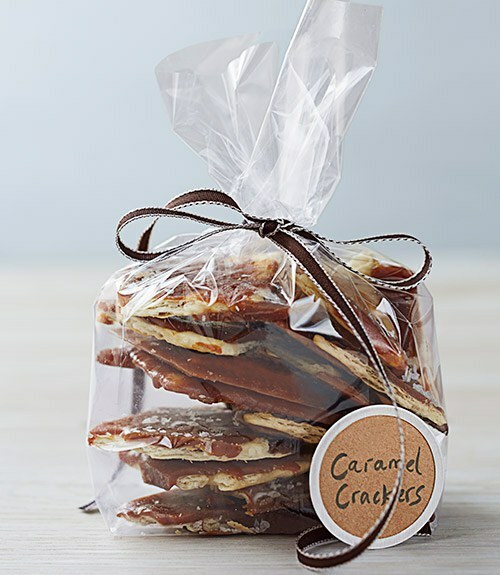 Who doesn't love a sweet and salty treat? This is my far the easiest DIY since you don't even need an oven! All you need is some saltines, brown sugar, butter, sugar, vanilla extract, cider vinegar and sea salt. Full recipe here. For anyone that loves to write, this is a perfect gift. Just use scrap paper for the book jacket and printer paper for the pages. 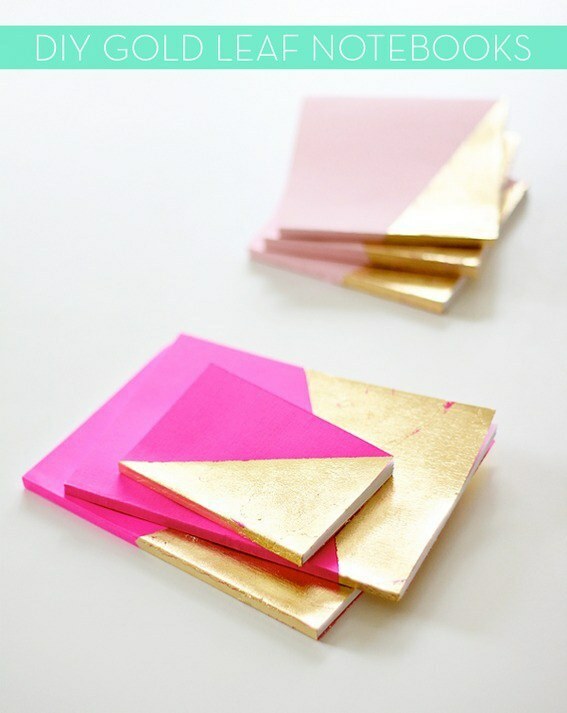 All you have to do is use gold leaf to "dip" the book jacket. Use your unique gift for any thoughts, inspiration, or to-do lists. Everyone always needs a new phone case, so why not customize one? 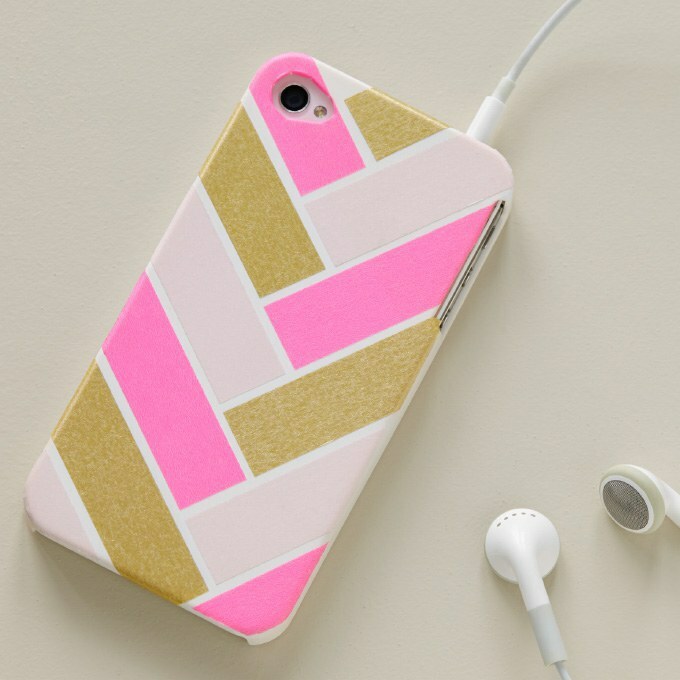 Use washi tape in a variety of colors to create a pattern on a blank phone case. You'll have a phone case that's unique and fashionable. For those cold winter days, a mug for coffee or hot chocolate is a perfect gift. 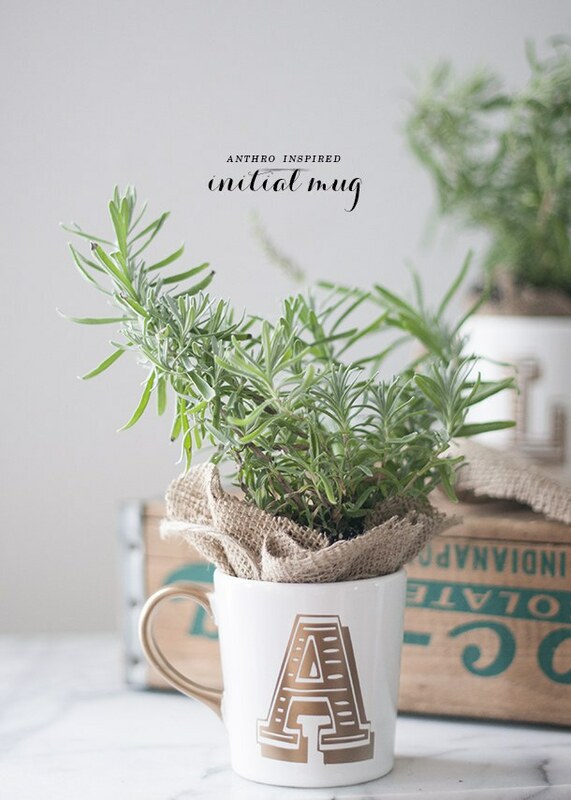 All you need is a plain mug, a letter stencil and gold spray paint. Spray paint your stencil on and the handle. Now you have a custom mug for one of your family or friends. 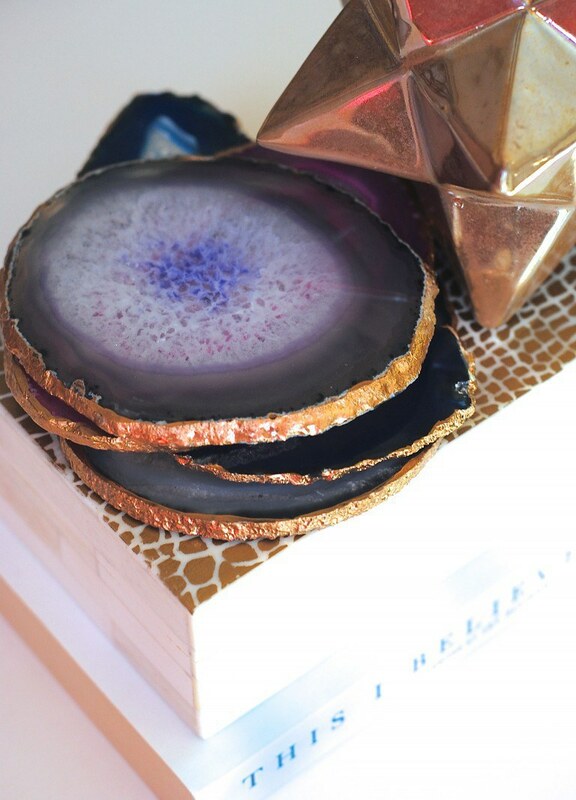 These gilded agate coasters are almost too easy. Just shop around for coaster-like, round agates at stores like Urban Outfitters. They usually are only around $8. But you can also look online at Amazon or Etsy. Then, all you have to do is paint the sides with gold paint and you're done! 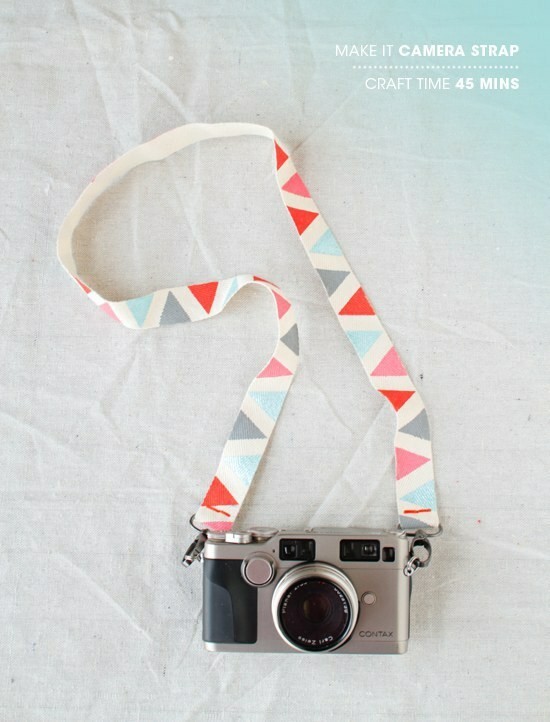 All you'll need for this colorful camera strap is 2 yrds of cotton webbing, craft paint, fabric glue and swivel hooks. First, you will have to paint the cotton webbing with a custom design. Then, slide the ends through the two swivel hooks and use fabric glue to secure the ends. The shutterbug in your life will absolutely love this custom gift. 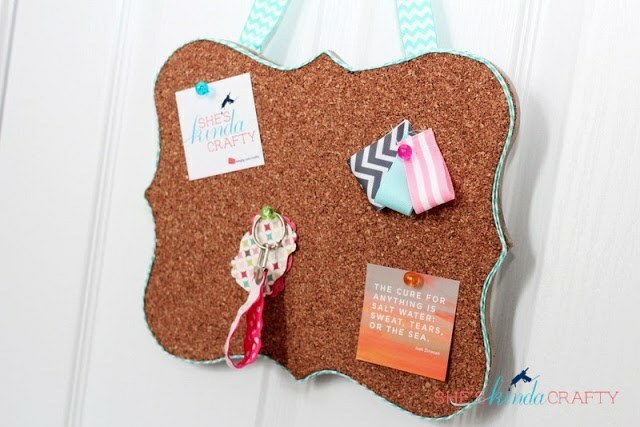 For this memory board, you will need cork tile, shaped clipboard, an exacto knife and contact cement. Trace your shaped clipboard onto the cork tile and cut out the shape. Use the contact cement to glue the two shapes together. You can also add optional ribbon or twine for decoration. Then you have your shaped memory board! Use it for pinning up photos, business cards, or inspiration. 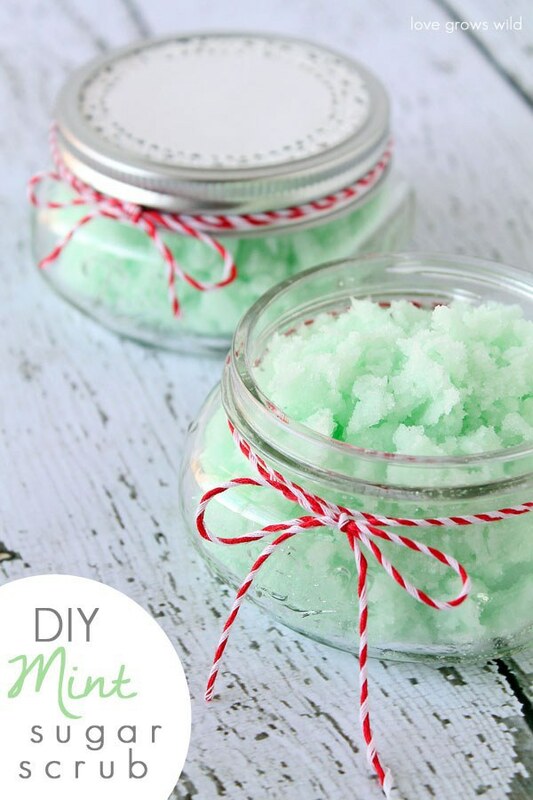 For your next spa day, make this mint sugar scrub. You will need sugar, coconut oil, peppermint extract and green food coloring. Anyone will love this amazing gift, full instructions here. For those cold winter nights, starting a fire is absolutely necessary. 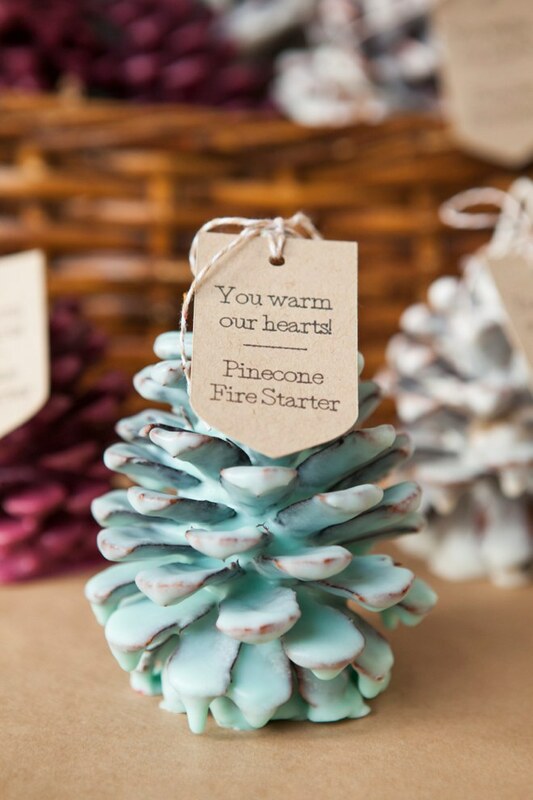 You'll need to collect pinecones, soy wax flakes, candle fragrance oil, candle dye blocks, and wire candle wicking. Basically, you will melt the wax with the fragrance oil and dip your pinecones in it. The full instructions are here. 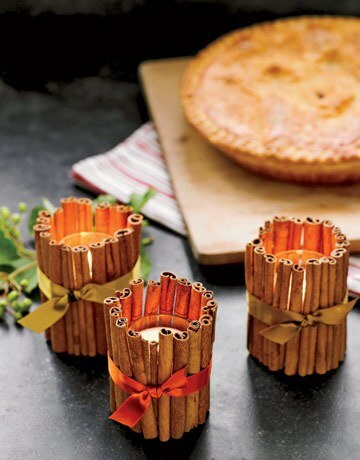 Everyone loves candles, but by adding cinnamon, it adds a holiday twist. Just take a regular candles and hot glue cinnamon sticks around it. Tie a bow around it and your home will be smelling like the holidays.